Xela AID understands that children who are hungry or sick cannot learn, and that families who have insufficient income cannot support their children being in school. Therefore, the organization supports education while it works to address, simultaneously, the health and socio-economic issues that thwart learning. They pursue an integrated model of community development, and solutions that are comprehensive, sustainable, scalable and transferable. Xela AID has worked to empower numerous local groups to become independent – self reliant– through the development of small businesses. They do not give funds or resources, but provide seed investment which is repaid, engendering pride, ownership, and a sustainable model. Xela AID is currently working with its 13 weavers, Tesoros del Corazon, toward a more sustainable and self-reliant model: while they market weavings in the United States, the organization also provides training to the women in an effort to increase product quality, to diversify product line, and to become more proficient in marketing and administration. 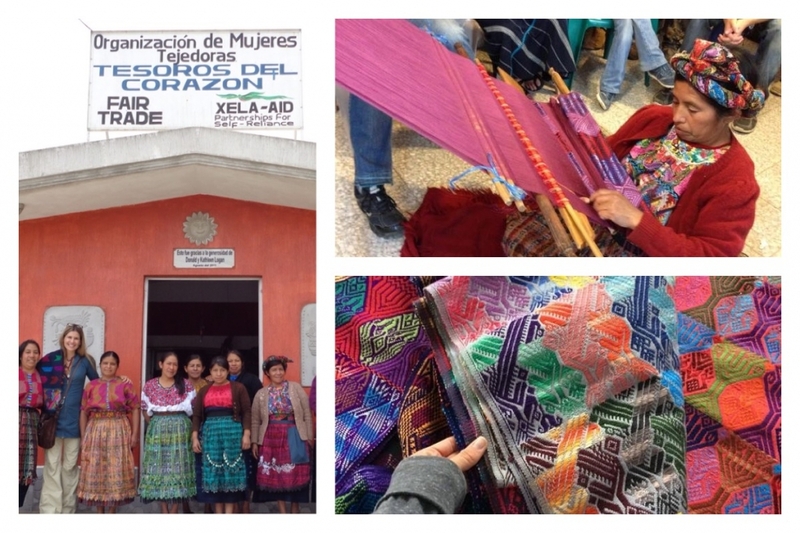 Established to support local artisans at a time that this ages-old traditional artform was dying out, for a full decade, Xela AID’s first weaving cooperative returned between $5,000 and $8,000 annually to a group of weavers whose normal family income ranged from just $400 to $800 per year. This added income enabled women to contribute substantively to support of the family, and to send children to school.